Poll: Do you like these Mods/Textures? Poll: Which one do you like the most? Poll: Do you like the Texture Pack? This mod makes Gold Much Stronger(lasts longer). Instead of 32 uses it now has 750 uses. 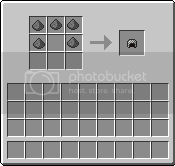 Download 1.2.5: Click Here This mod allows you to craft Chainmail using gunpowder. This mod adds 2 new arrow crafting recipes. 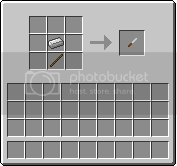 First one instead of flint use Iron ingots(32 Arrows). Second one use a diamond instead of flint(64 arrows). and Of course you can still use the default flint. Music Disk is a 1.8.1 Mod. This mod add's all the disks from 1.0 to 1.8 dungeons. This Texture Pack Makes GUI Clear. This is your Inventory, Crafting tables, Furnaces, Dispensers and so on! I am all ways open to suggestion on how to improve on my mods. These are my first released ones so please go easy on me haha. None of my mods need Modloader. But In future some will. Mods Updated to 1.2.5. MCP was out before the update with pre-release woot! This mod make Creepers Peaceful during the day like a spider. Sorry but I am having trouble with updating this mod. Hope I can get it up soon. I have installed the 1.9 discs mod it works fine... but the items are invisible! Hurray my life has meaning again iI can finally play music disc 11 in my brothers mineshaft HEHEHEHE!! These are awesome, but you need to get some other material than gunpowder to make chain, because it has the same durability as gold. 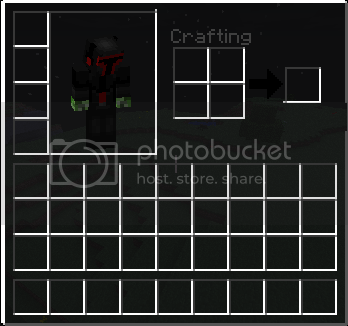 Newest Addition Clear GUI Texture Pack! any way to tint it to #6C346C ?